When I started writing about how to start losing weight using far infrared and minerals I couldn't decide what title would reflect all the amazing benefits of this amazing treatment. I don't think that the title I've chosen does it justice, and I may still change it later. In the meantime, I would like to tell you what you can gain by trying it on yourself. I mean - apart from losing weight. But first, let me tell you why it would be a great way to start losing weight, especially if you have tried everything and failed. In order to understand how the treatment works we need to look at some of the main factors causing obesity. There are many such factors and I will only mention the ones which I think are most important and the ones that can be helped with the therapy I have developed. Stress - major disruptor of hormones. While acute short-term stress creates a fight-or-flight response in our body without causing weight gain, prolonged or chronic low-key stress interferes with sugar and fat metabolism by overproducing the "compensating" hormone - cortisol. Elevated cortisol levels lead to a number of issues which harm our health, and weight gain is just one of them. Others include raised blood pressure, cholesterol level, insulin resistance, increased risk of type 2 diabetes, low bone density, heart disease and cancer. It also creates a nutrient deficiency, including minerals such as magnesium, calcium, zinc and many more. Magnesium deficiency is one of the major factors leading to obesity. We need this mineral for over 300 reactions in our body, but stress and poor nutrition deplete the levels needed to keep us healthy. Magnesium is the spark needed to produce energy in the cell, which is the most basic level. If we don't have enough of it our cells cannot produce the energy we need, so we become lethargic. This is one of the reasons for what is currently defined as the "metabolic syndrome" - one of the symptoms of obesity. 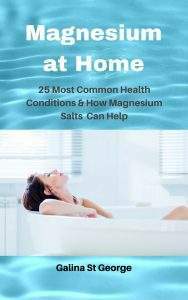 Magnesium gets depleted when we are under stress, especially the low-key, chronic type. Toxicity is another very important factor in causing obesity. Many of the natural and manmade toxins in our food, water, air, medicines and products we use interfere with the metabolic processes. For example, research has shown that toxins from the plastics interfere with hormones and the reproductive system, and so do many medicines (especially contraceptives) we take and excrete which eventually find their way into our food and water. Mineral deficiency. Minerals are as important as vitamins for health. While a nutritious diet would provide us with all the minerals we need, many of us don't get enough or don't get them quickly enough when we need them. 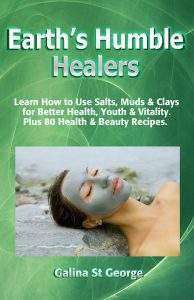 Salts and clays are mineral-rich substances and are a great source. How can you start losing weight using Far Infrared Mineral Weight Loss Wrap? Detoxification - far infrared penetrates deep into the body which promotes sweating and release of toxins. 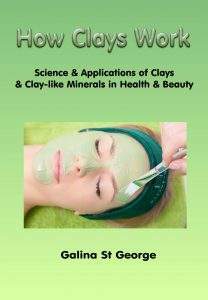 Clay, in turn, pulls toxins into its structure and absorbs them. Magnesium supplementation - happens when magnesium salt is applied to the skin as part of the wrap. Transdermally, magnesium gets into the body much faster than when taken as a supplement. Magnesium is an important mineral both in the production of energy needed for detox and in weight loss. Mineral supplementation - other important minerals get absorbed through the skin from the minerals used in the wrap. They play their own role in supporting metabolic processes and promoting weight loss. Far infrared activates the cells deep in the body promoting metabolism on the cellular level. This, in turn, helps with weight loss. There are many more benefits of the treatment which you can learn about if you decide to take the Far Infrared Mineral Weight Loss Wrap Course with us. The course is aimed both at therapists and members of the public wishing to do it on themselves. If you would like to experience the treatment in London, get in touch with us to book it. Sign up to our mailing list to receive updates on mineral healing courses and treatments.